It's just me talking about sewing, crafting, thrift store shopping and trash day junkin'. Our coffee maker broke recently, and we decided to get a Keurig. 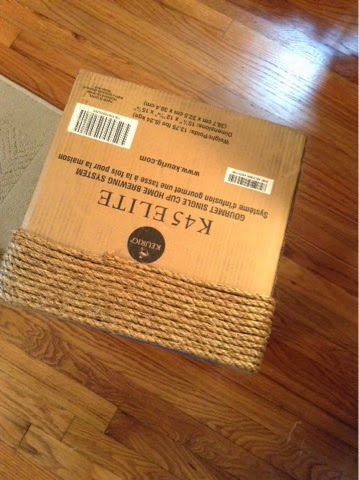 The box it was shipped in is pretty sturdy. It's a box inside a box really. So that got me to thinking. We can always use another footstool. 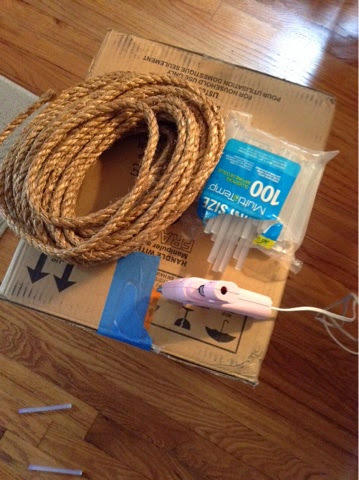 I decided to use some rope that had been sitting around the garage since April to wrap around the box. 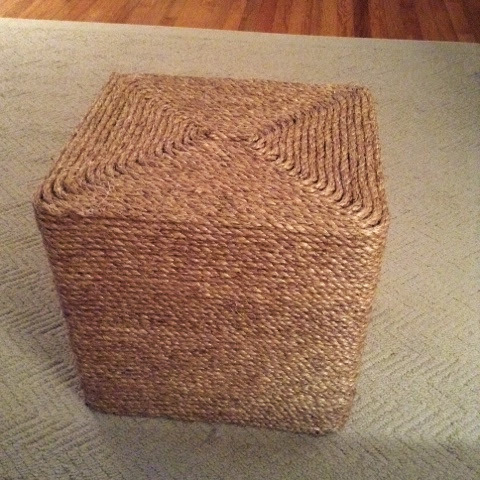 Rope footstools are durable and match any decor. 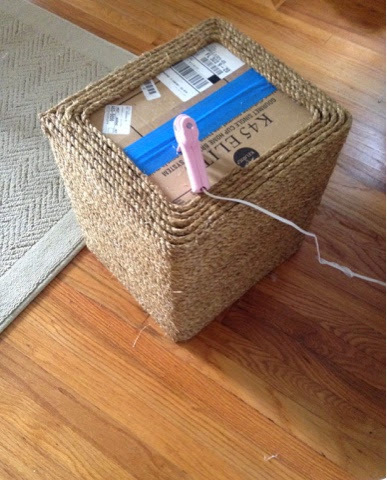 I just used the box, some rope (Blue Hawk, 122lb) and a hot glue gun. The hot glue worked like a charm. The extra rope from the garage was used up pretty quickly. I had to run to Lowes and purchase three more packs of rope. It took nearly 100 glue sticks, 250 feet of rope, three hours, and I can't forget, 1 pink glue gun. I am so proud of my little $5 glue gun. She was a real trooper. It was a bit tricky at times, and the rope lines are a little wavy, but all in all, I'm pleased with the result. 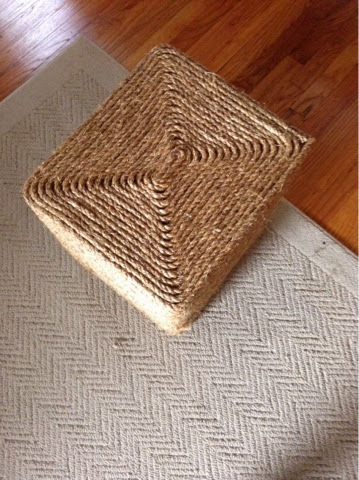 It's strong enough for me to sit on but too itchy to sit for long. The rope on top is level, except for the very center where I had to squish the rope tightly for full coverage. It's just a little more raised. It will easily hold a glass. If you can find one for $30 or less, buy it! This one required about $40 of rope. I could have just covered it in fabric. That would have cost a lot less. But fabric shows dirt and wear quicker than rope. This little treasure will last. Pink Paper Peppermints - Craft. Create. Celebrate.